BEREA, OH – It’s one of the biggest fears for an NFL fan base: losing your team when it comes time to fund a new, costly stadium project. And for Cleveland Browns fans in particular, it’s all too touchy of a subject after Art Modell relocated their beloved Browns to Baltimore for that exact reason in 1996. 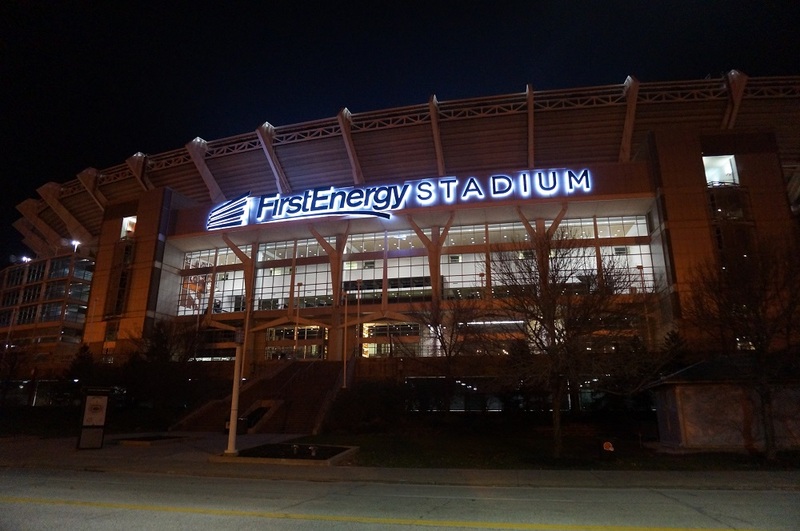 Fortunately, they returned to Cleveland with a new facility in 1999, now First Energy Stadium. For now, any potential new stadium talk is a ways away, considering the team’s current lease with venue runs through 2028. The facility also received a $125 million makeover a few years back. Rest assured though, even when that lease does expire, a new stadium doesn’t appear to be on the radar for Browns owners Dee and Jimmy Haslam. Their hope is to keep the Browns on the shores of Lake Erie long-term, so long as the community is on board. The bigger dilemma for the Browns owners centers around developing the area surrounding the stadium. Cleveland’s shoreline is a hot spot in its own right with the Rock and Roll Hall of Fame, numerous marinas and, of course, First Energy Stadium. But the area is noticeably disconnected from the rest of downtown. The Haslams hope to change that. Building up the shoreline with bars and restaurants would not only enhance the fan experience during football season but make the area more attractive to tourists visiting the city throughout the year. But like any plan, it needs approval. That’s where the Haslams currently find themselves in the process of addressing the franchise’s future home. Transparency will certainly be appreciated by Browns fans after being blindsided by Modell over two decades ago. The same goes for the Haslam’s proactive approach to such a taboo subject.